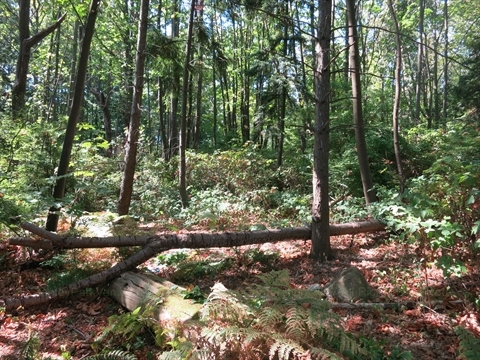 The Pioneers Cemetery in Stanley Park is an unmarked, undeveloped section of Stanley Park at the eastern-most part of Brockton Point. There used to be many people living in Stanley Park and it was used as Vancouver's first cemetery. Although, people were buried all throughout the park, but there was a definite concentration in the area known as the Pioneers Cemetery. The indigineous people used to put to rest their dead by hanging them on Deadman's Island, but unfortunately, it was totally logged so this practice did not continue. There are no marked graves that we know about and nobody really visits the Pioneers Cemetery, but it is a part of Stanley Park! Where is Pioneers Cemetery in Stanley Park? The Pioneers Cemetery in Stanley Park is located on Brockton Point on the east-most part of Stanley Park just off of Stanley Park Drive. It is between the Nine O'Clock Gun and the Brockton Point Lighthouse It is unmarked. It is in the bush to the left of the road.